God looked down on his planned paradise and said “I need a caretaker” so God mad a Farmer and as he needed one to help care for his heavenly paradise, he called home Myron Tucholski on March 18, 2019, to his arms. Myron lived on his family’s home farm since his birth May 6, 1936. He attended Elm Lawn Grade School and graduated from Seymour High School in 1954. After his father John Tucholski, Sr. died, Myron and his brother John continued to care for their mother at home until she passed, working opposite shifts of each other at Appleton Mills, so she always had someone to care for her until she died with them by her side. Myron retired from Appleton Mills in 2000 at the age of 62. Myron often ran errands for his aunt who needed help also. He would often take his older sister grocery shopping and out for lunch or supper giving her a chance to get out for the day. His kindness will be missed by many. Myron loved to go to auctions. He didn’t always buy, but loved to look at the tractors, equipment and just chat with other farmers. He loved to sometimes just drive around looking at the countryside, the crops, the nature around him. You would always see Myron in his classic denim blue shirt and blue jeans. 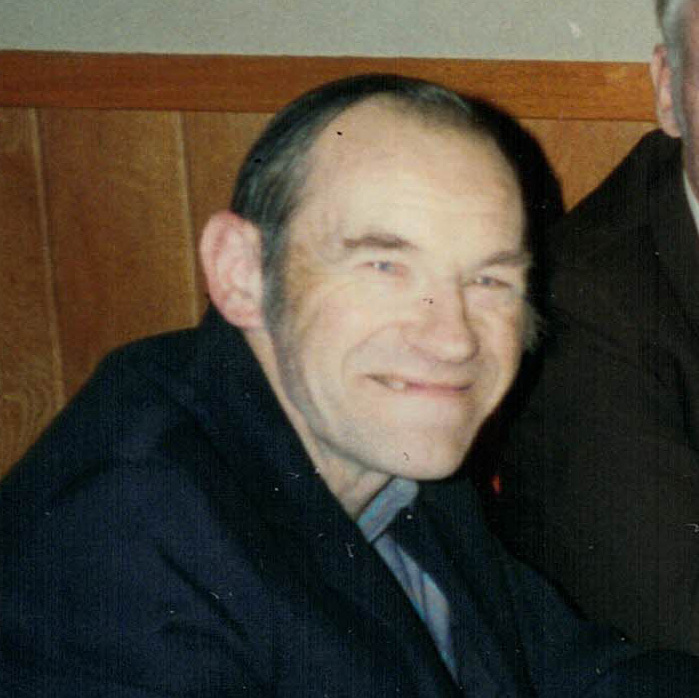 He enjoyed stock car races, bobcat hockey games, ice-fishing, hunting, and fishing in his younger years, and always allowed family and friends the opportunity to hunt on his land and woods. He raised pigs in his younger years. We were all amazed that he could make those square corners in the hay field. He loved all-star wrestling. Although Myron and his brother never married, they were always part of family gatherings and have many nieces and nephews that shared their lives. Myron is survived by his sisters: Proxida (Pat) Taylor, Howard; Naomi Ebert, Austin, Texas; and his brother, John Tucholski Jr., Hofa Park; many nieces and nephews; great nieces and nephews and great-great nieces and nephews. He was preceded in death by his parents, John and Agnes Tucholski; his brothers-in-law: E.V. Taylor and Robert Ebert; and sister and brother-in-law, Ann and Tony Jurecki; many aunts and uncles. Friends may call at Muehl-Boettcher Funeral Home, Seymour on Sunday, March 24, 2019, from 4-7 pm, with a prayer service at 7:00 pm. Visitation will continue at St. Stanislaus Catholic Church, Hofa Park on Monday, March 25, 2019, from 9:30 am until the funeral mass at 11:00 am with Father Patrick Gawrylewski officiating. Burial will take place in the parish cemetery.